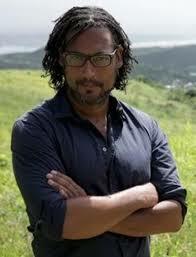 It is a huge privilege to present David Olusoga, popular historian, writer and television presenter in this years programme. Realising that black people were much less visible in the media and historically, David became a producer of history programmes after university and subsequently became a television presenter, beginning in 2014 with The World's War: Forgotten Soldiers of Empire, about the Indian, African and Asian troops who fought in the First World War, followed by several other documentaries and appearances on BBC One television's The One Show. Working from 2005 on programmes such as Namibia Genocide and the Second Reich, The Lost Pictures of Eugene Smith and Abraham Lincoln: Saint or Sinner. PLEASE NOTE CHANGE OF ORIGINAL EVENT DATE FROM SATURDAY 6TH JULY TO NEW DATE SUNDAY 21ST JULY.